Fogarty Concrete carries out civil projects both domestically and commercially. 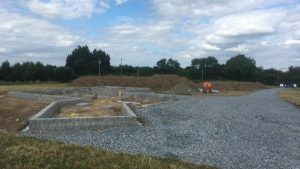 One of our most recent projects was the clearance of a site straight through to subfloor level. 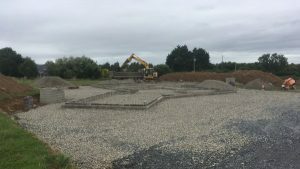 We set out the site using our GPS system, excavated site line, entrance road, hard stand area all the way through to foundation excavation. We supplied and filled with Annex E class material within the subfloor to radon barrier level, installed insulation and poured finished floor level.